As Australian garlic growers we are pleased to offer our organic garlic which we have grown for both its wonderful taste and its many health giving properties. 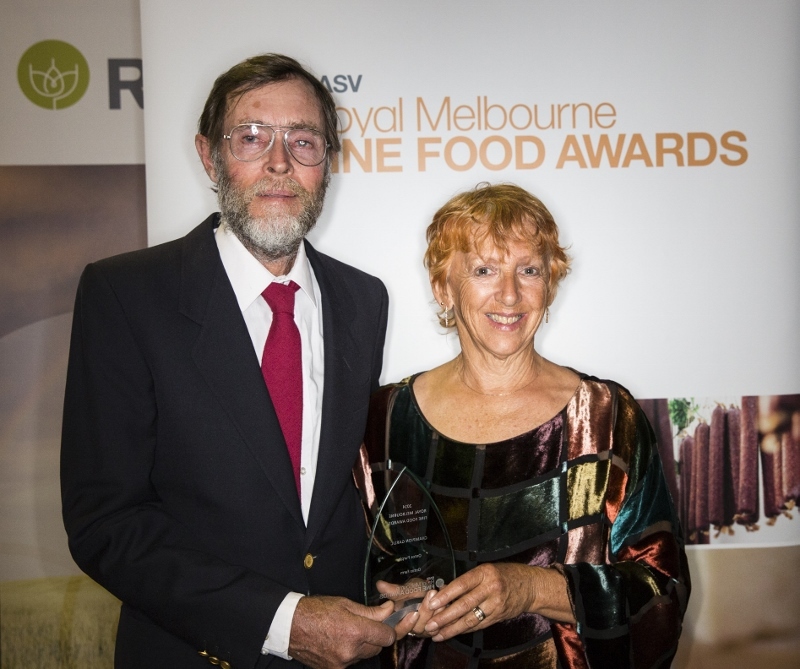 We were delighted that our garlic was awarded the Champion Trophy for Garlic and a Gold Medal at the 2014 Royal Melbourne Fine Food Awards. The judges commented as follows - "Great colour on skin. Excellent firm bulb. Excellent cloves. Easy to peel. Succulent yellow flesh. Excellent flavour". In the 2015 Awards we were very pleased to be awarded a Silver Medal as it was a pretty tough year weatherwise for our 2014 crop. In the 2016 awards we were once again awarded a Gold Medal which we are delighted with. Ontos Garlic is organic and 100% chemical free Imported garlic, mostly from China, Spain, South America and the USA has been quarantined and fumigated during the quarantine process. Garlic is one of the most internationally traded foods and as such has acquired over 600 varietal names, most of which are duplicates. Therefore while there are only a few actual varieties of garlic, there are really two main types - hard neck and soft neck. Hard neck sends up a stiff stalk crowned by tiny bulbs (bulbils) which can be planted while soft neck does not. During our first season we planted several varieties of garlic, both hardneck and softneck. We have selected a most wonderful hardneck variety with a great taste, big cloves and pretty purple striped paper covers for planting this year. This garlic is very user friendly as with the big cloves it is easy to process. The medicinal molecular components of garlic are sulfur based and we supplement our crop with potassium sulfate at appropriate rates to assure full potency. Potassium promotes strong cell structure so this garlic will keep for a long time, while the sulfur component builds the medicinal attributes. The flavour of the garlic also depends on soil and climate. The ideal climate is cool with cold winters and no rain after October during the bulb filling period. The soil must not be too heavy and must be well drained. Ontos Farm, which is situated in the foothills of the Snowy Mountains in Victoria has an ideal climate for growing garlic. We also rely on complete soil tests to make sure our garlic has the right nutrition without depleting the soil. prepare traditional dishes with that anaemic, tasteless, odourless stuff from China. Thank you for growing real garlic." your service. I will most certainly recommend Ontos farm to friends for their garlic and will purchase again next year." "We love your garlic. It is delicious and beautiful. Could I please order 10kg this time." "Just a short email to say that I’m very pleased with the quality of your garlic as well as the quick delivery time." "As spanish we cook with garlic almost every meal and since we got some of Ontos Garlic our food has a nice traditional flavor."